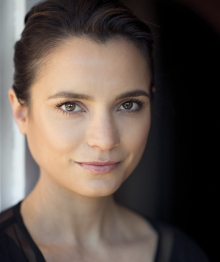 Jessica Tovey has been working in Australian film, television and theatre for the past decade. Her film credits include Adoration (Adore), starring Robyn Wright-Penn and Naomi Watts, Tracks, starring Mia Wasikowska and Adam Driver and lead roles in the Australian features Lemon Tree Passage and Beast No More. Jessica’s television credits Home and Away; which saw her nominated for two Logie Awards, Wonderland, Wolf Creek, Panic at Rock Island, Wicked Love, Underbelly: Golden Mile, Rescue Special Ops, Cops LAC, Mr and Mrs Murder and Paper Giants: The Birth of Cleo. This role earned her a nomination for the 2011 IF ‘Out of the Box’ Award. Her stage credits include The Merchant of Venice with Bell Shakespeare Company, Double Indemnity with Melbourne Theatre Company, Twelfth Night and Constellations both with Queensland Theatre and Truckstop with Q Theatre. Jessica was also a presenter on Movie Juice for the 10 Network. Since working as an actor she has been an Ambassador for several charity organisations, which have seen her speak at a number of events and be spokesperson to the media to promote awareness of various causes.